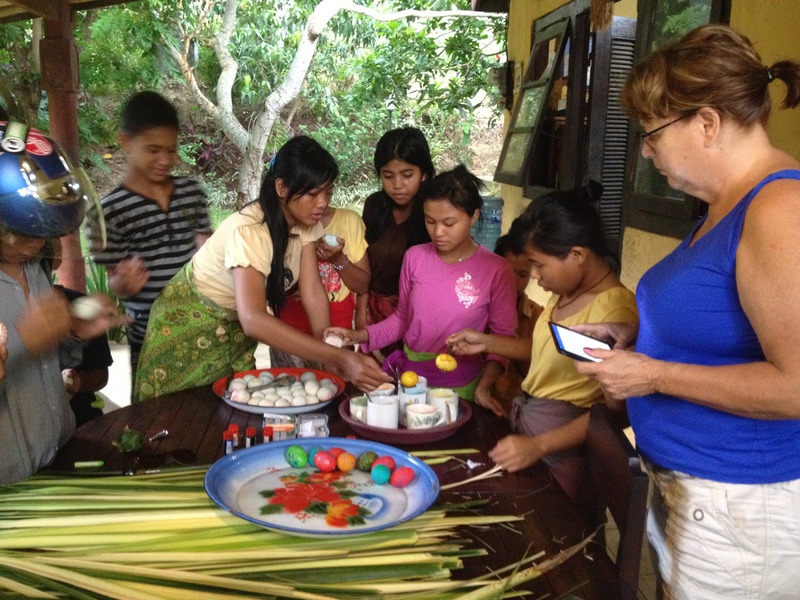 You might think it would have been awkward celebrating Easter at a Gandhian Ashram on the Hindu island of Bali in the most populous Muslim country in the world. But it turned out to be one of the most meaningful Easter’s we’ve ever experienced. and serious traditions of Easter. 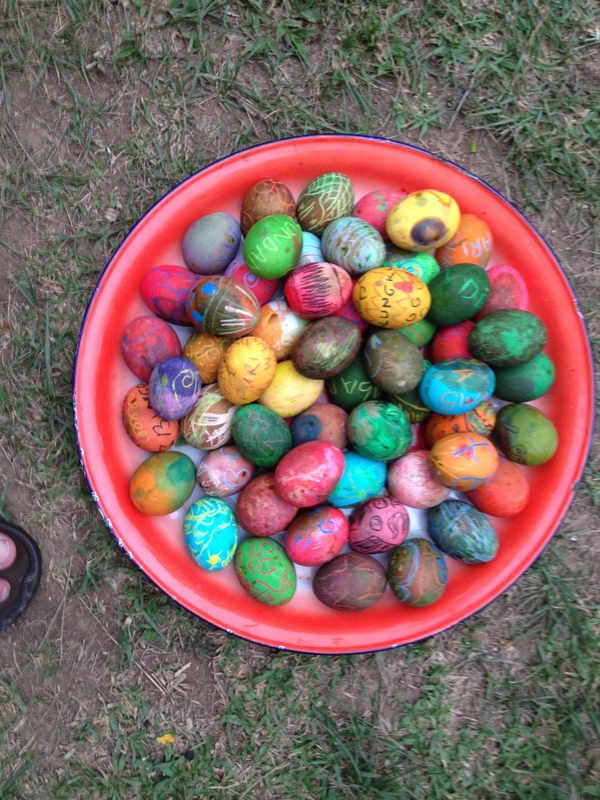 The day before we colored Easter eggs which the kids took to a whole new level with their awesome drawing ability. Easter morning began with our regular prayers at 5am, and then an enthusiastic Easter Egg hunt. 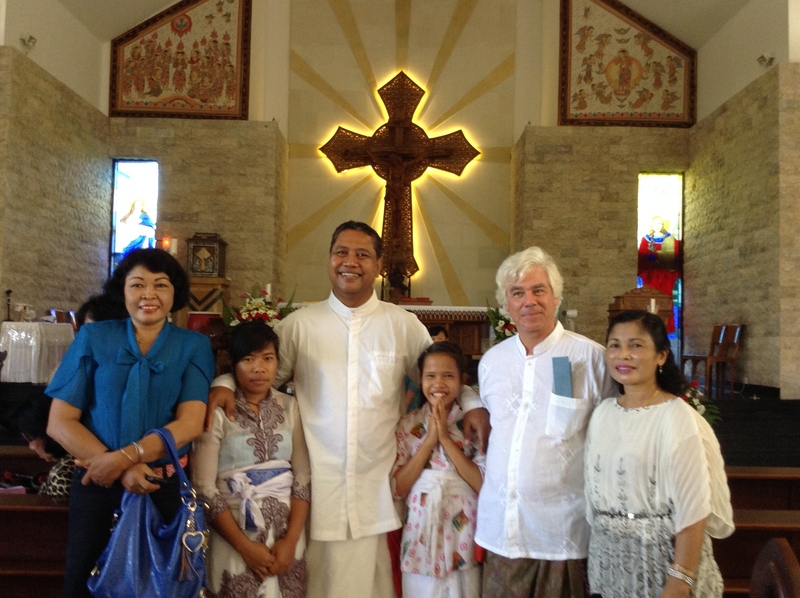 At St. Sisillya Catholic Church with Indra, ashram members Kadek and Komang and choir members. were warmly welcomed by the Pastor and its 200 members. 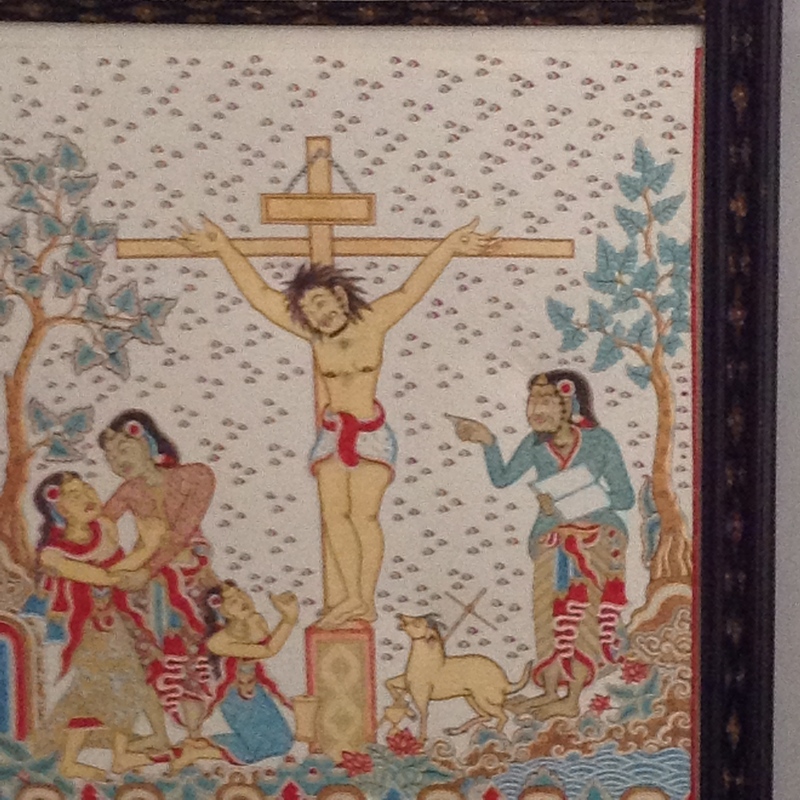 Their new church just recently opened, and is beautifully decorated with familiar Christian art work some of which is rendered in traditional Balinese painting methods. After evening prayers, we gathered in the garden around a statue of Mother Mary. Felicity and our friend Amma from Brisbane, Australia shared some thoughts about the meaning of Easter with our Ashram members. We recited the Our Father prayer, and finished by demolishing a bowl full of chocolate Easter eggs. There were a few unsettled stomachs this morning. 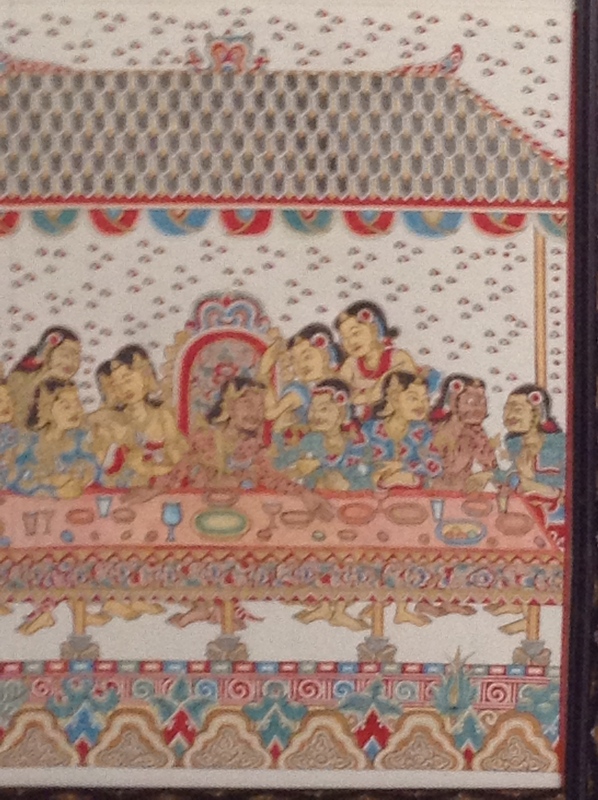 One of the things I love most about following the Gandhian path is how it treats all religions. One of the eleven principles we live by at Ashram Gandhi Puri is Sarva Dharma Samanatva which means respect for all religions. In fact, Gandhi carried a copy of the Sermon of the Mount with him along with the Hindu text Bhagavad Gite and the Koran. Even though Hindu mantras are the core of our daily prayers, we also say the Our Father prayer and some of the important Muslim prayers. I’ve also attended Ramadan celebrations where the ashram members have sung these Muslim hymns. 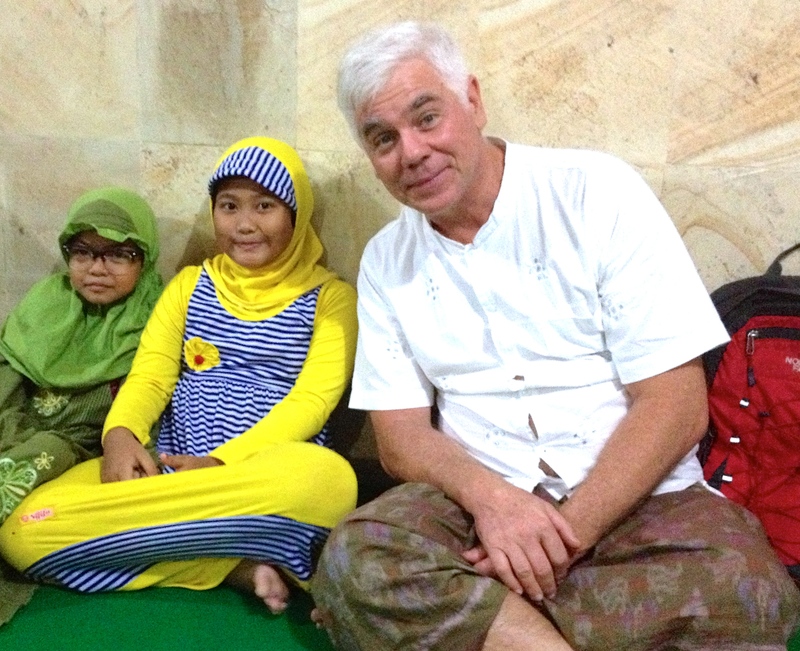 I also love living in Indonesia because of its strong respect for the diversity of religious worship. With some exceptions, there is a lot of tolerance for the country’s recognized religions. The Catholic priest at St. Sisillya told me that his church has never faced a challenge from the larger Hindu or Muslim religions, and in fact received support from the government to build the new church. I thought it was “paskah”.. Does the “paksa” word has any correlation to the indonesian “paksa” (literally: to force someone to do something)..